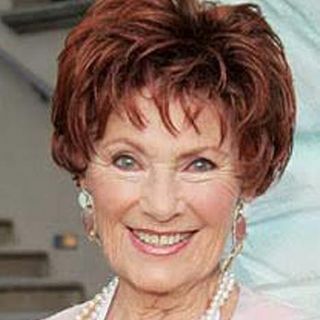 Marion Ross (born October 25, 1928) is an American actress. Her best-known role is that of Marion Cunningham on the ABC television sitcom Happy Days, on which she starred from 1974 to 1984 and received two Primetime Emmy Award nominations. Before her success on Happy Days, Ross appeared in a variety of film roles, appearing in The Glenn Miller Story (1954), Sabrina (1954), Lust for Life (1956), Teacher's Pet (1958), Some Came Running (1958), Operation Petticoat (1959), and Honky (1971), as ... Maggiori informazioni well as several minor television roles, one of which was on television’s "The Lone Ranger" (1954). Ross also starred in The Evening Star (1996), for which she was nominated for the Golden Globe Award for Best Supporting Actress. Since the 1990s, Ross has been known for voice-over work on animated television series such as King of the Hill and SpongeBob SquarePants among others, and recurring roles on The Drew Carey Show, That '70s Show, Gilmore Girls, and Brothers & Sisters, and guest spots.